Hofer, Amy et al. 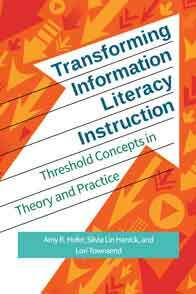 Transforming Information Literacy Instruction: Threshold concepts in theory and practice. Libraries Unlimited, 2018. ABC-CLIO, publisher.abc-clio.com/9781440841675.